The Kawasaki Z750 is an ideal naked middleweight for those looking for something capable of tackling the daily commute and scratching the weekend B-road blast. We decided to take a look back at the bike 15 years on from its first launch. "The second version of the Kawasaki Z750 hits the right spot for lovers of style and a zinging engine. Much underrated in its original guise, the Kawasaki Z750 mimics the new stunning Kawasaki Z1000 for attitude, but has an engine that reaps rewards when abused and comes at much better price due to lower spec chassis parts. "Part of the Kawasaki Z750 cost-cutting exercise involves simplifying the already budget suspension – only one fork leg controls front rebound damping and the forks and rear shock are particularly soft. This means the handling of the quick-ish steering Kawasaki Z750 soon starts to go south when the bike’s pushed hard." MCN 30 April 2007. Kawasaki’s Z750 offers all the best traits of an analogue sportsbike of ten years ago, without the discomfort and uncompromising nature of its fully-faired counterparts. Alongside the standard dual wavy discs and upside-down forks with limited adjustment, this 2009 example has braided lines, meaning the middleweight Zed will stop and turn just as well as many modern roadsters. This is slightly let down by the Avon Storm ST tyres though, which offer minimal feedback in the colder, wet conditions. The riding position also feels sporty without being uncomfortable. A tall 815mm seat shoves your upper body forward onto the wide bars and your feet are set back on the pegs, which feel more like mild rear sets than a standard OE part. This riding position does mean that, much like a genuine sportsbike, your elbows occupy much of the bike’s mirrors. This doesn’t matter overly though, as both have loosened over time on this example, meaning you are constantly adjusting them on the fly to see what’s behind you. Despite previous complaints of overly soft suspension when pushed, at road-legal speeds the Kawasaki feels planted and firm enough to inspire animated riding. The softer nature also means it rides over bumps and ruts in the road well – soaking up many without transferring it onto the rider. For a bike produced nearly a decade ago, the clocks on the 750 are littered with useful modern features. As well as the traditional analogue rev counter, there’s a digital speedo, trip, temp gauge and fuel gauge – something lacking on many bikes until very recently. This is housed behind a neat fly screen, which forms part of the front headlight assembly. Features-a-plenty, they are also very easy to read. Placed in a natural position in front of the rider, you can glance down quickly and check your speed, fuel or anything else required with minimal fuss. The neat styling continues throughout - from the belly pan to the sleek Ninja-inspired tail unit, which is improved no end by the metallic midnight blue paint scheme, which glints gracefully in the sunlight. From smaller aftermarket indicators, to a chromed radiator guard, this bike’s previous owners have really piled on the mods. Some of the more welcomed additions include a rear hugger, which has helped keep the shock in immaculate condition. Removed pillion pegs and a low mileage of just under 15,000 would also imply this on has been treated as a weekend toy, rather than a weekday workhorse. Sat underneath you is a rumbling 748cc inline-four engine, which snarls aggressively thanks to the carbon Two Brothers racing can, which chucks out a deep hum below six grand and a devilish scream from there on, all the way to the 12,000rpm redline. The power delivery is linear, without any flat spots - pulling surprisingly well from low down in the revs. This is handy because the clutch on this particular bike felt very heavy and caused fatigue over time – especially in built up areas. On a few occasions, it stuck right at the end of the lever, not fully disengaged. This was made worse by anodised shorty levers, which limit clutch control to your index and middle fingers, leaving the ring and pinkie redundant. Putting so much strain on these two digits caused a great deal of pain in my forearm in slow moving traffic. Despite issues with the clutch and mirrors here, if you want a do-it-all roadster, capable of commuting without complaint and delivering ample weekend thrills, you could do far worse than a Z750. With good handling, a solid motor, plenty of features and an upright yet aggressive stance, the naked Zed is the ideal companion for anyone wanting to scratch that sportsbike itch, without the cramped, uncompromising nature of a fully-faired alternative. "The first things to look out for on a Z750 with previous heavy usage are the obvious things like corrosion. 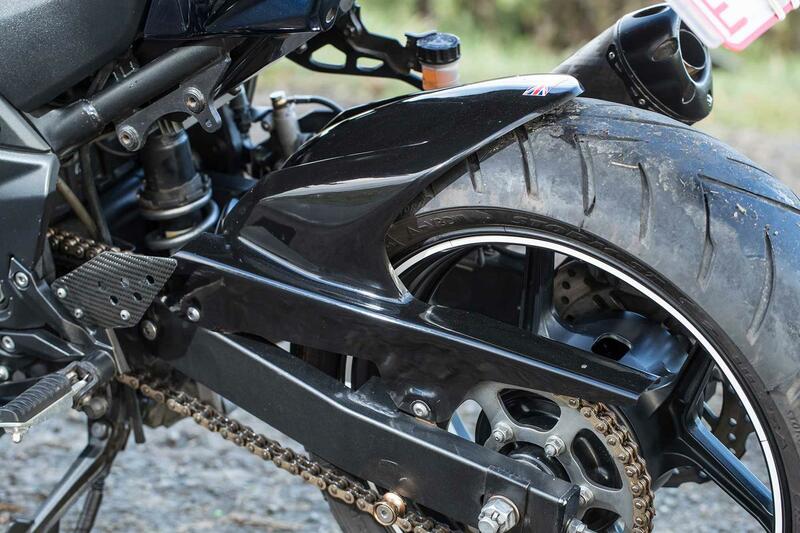 These bikes use a cable-operated clutch too, which is more susceptible to problems than a hydraulically-operated item, so make sure the one you’re looking at works freely. If you buy one, then make sure you oil your cables and linkages regularly. "They did have a slight issue which became apparent when taking off the fuel tank. This is because if you lift it too high at the rear, then the front of the tank can scratch on the frame. I think the VIN plate is up there and it can take a little bit of the paint off. Look out for this, or signs of corrosion. "The batteries can be a pain to refit, too. They are housed under the seat with a bracket that is fastened with four bolts. If the wires haven’t been replaced in the terminals the right way, then you will struggle to fit it all back in correctly under the bracket. "A couple of these bikes have come into the workshop with warped front brake discs. It’s the usual Kawasaki thing that occurs; the bobbins that connect the aluminium cover to the steel rotor stop spinning, which can cause problems. "I’ve also done a camshaft position sensor on one too, which became apparent when the customer’s bike wouldn’t start. If your bike doesn’t start, then this could be the problem. "Other than that, it doesn’t suffer much at all. The brakes are okay and the suspension is adequate for a bike like this. They’ve also got an exhaust valve inside the pipe which can seize. "To check the for the problem, turn on the ignition. When it turns, you should be able to see the butterfly valve fully open and close, before going back to its natural position. You can’t see it directly down the pipe, but you should see a slight movement by looking at the outside of the exhaust, close to the rear wheel. "We don’t see many Z750s in now, as they are over ten years old in some cases and Kawasaki franchises have moved on to the later models. We normally see them for MOTs and I haven’t seen one for work in a little while. "From the ones that we do still see, people tend to put aftermarket exhaust cans and tail tidies on them, as well as larger screens. This is a definite benefit, as the standard screen was very small. No one really went to town on the engine though with tuning or bolt-ons. "They were also used for a variety of jobs. Some people use them in all weathers as a commuting machine, whereas others use them at the weekend as toys. They are just a good all-round motorcycle." 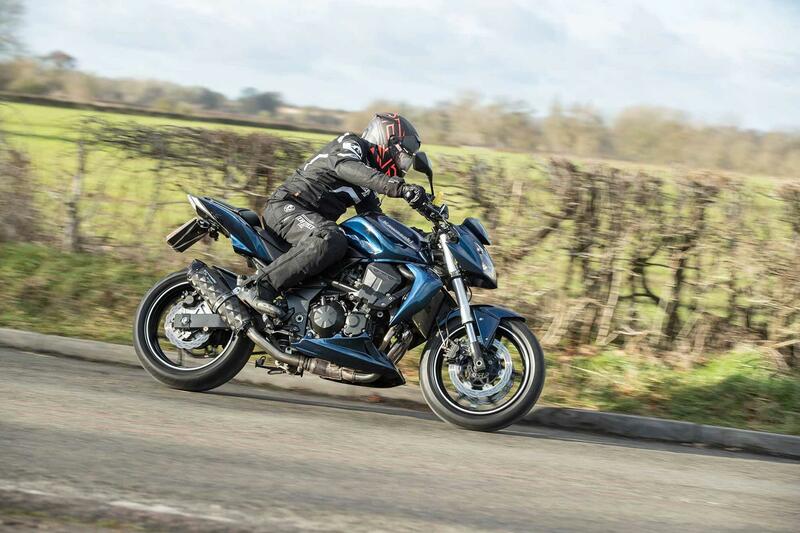 "We're genuinely shocked how good the Z800 is, given how uninspiring the old Z750 was"